One of the largest pontoons in our fleet, our 24’ Tahoe is a state of the art “Tritoon” boat (meaning that it has three pontoon tubes) with a host of popular features. 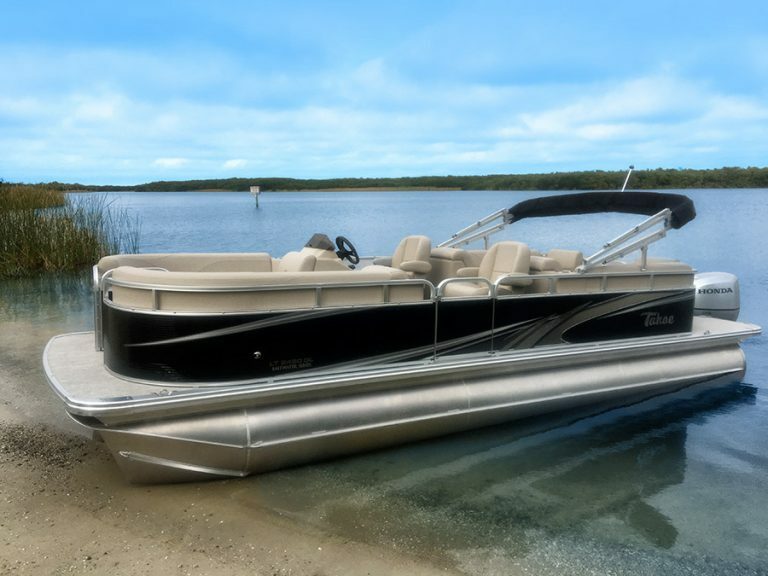 With an 8’ wide body and plenty of seating, this boat is perfect for an on-the-water excursion with a group of family and friends, up to 12 people. Imagine kicking back in plush furnishings under the 10’ Bimini top, gently rocked by the waves on a cloudless afternoon as the Bluetooth stereo sound system plays your favorite tunes. Or, how about a fun-filled day of fishing and exploring the Englewood area waterways? 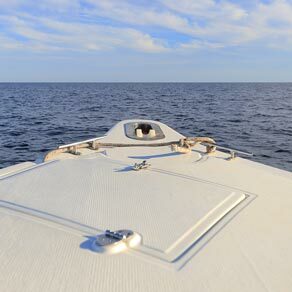 Whether you prefer relaxation or adventure, this rental boat is your ticket to experiencing the real Florida, your way. We provide a GPS and depth finder as well as charts/maps of the local channels so navigation is a breeze. Once you get a taste of tropical paradise aboard our luxury pontoon boat rental, you’ll be sure to return for more. Rent today – it’s the easy way to get away!